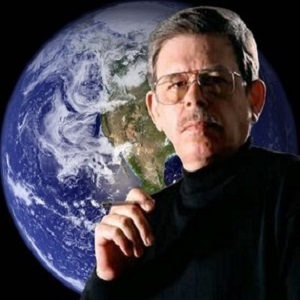 Art Bell should have an honorable place in the history of broadcasting. Despite what his legacy should demand, his flavor of subject matters or considering the target of his core audience he was shooting for. I learned via BING.com news feed that Art Bell has resumed room temperature. As I have always been a night creature – in the early 1990s and continuing to today. I tuned into this weird radio show over night to have some sound going on while I explored the digital coding of this new thing designated as HTML … I was faithful as a listener night after night. 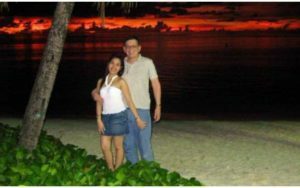 I listened for a few years – and finally quit. I did realize that Art Bell was a master at creating a cult of personality. While at the same time agreeing to weather the burden to take that load onto his life. I do respect him for that undertaking. To create a strange form of theater while understanding that a lot of people would believe it was all real. 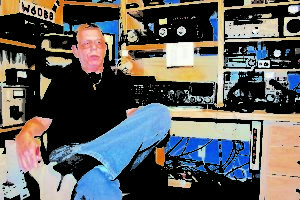 Art Bell was indeed the Wizard Of OZ … The man behind the curtain. Brilliant – as far as broadcasting and radio history. Truckers and third shift workers underserved as an audience. Appealing to the least common denominator. Generating and supporting conspiracy theories as if it was science. Supporting careers of writers who self-published independent books about the paranormal who would never have a way to make a living without the support and way to reach the public without Art Bell. Art Bell should have an honorable place in the history of broadcasting. With his affinity toward young Philipeno women to marry a couple of times and a fascination of the absurd subjects to explore – put aside. Let’s just celebrate his mastery of the airwaves. Remember his style for what it was – BOO!! !